Unwieldy name aside, this is a lovely, LARGE compact of one of the most beautiful golden-ivory shades I've ever seen. 1. 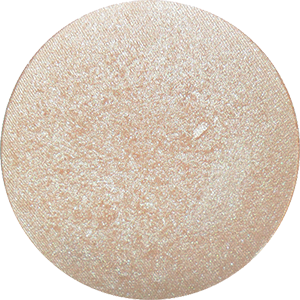 It's the most gorgeous pale-champagne shade with smooth-as-butter texture which is not glittery or chalky. It is able to mimic that translucent dewy look liquid or cream highlighters give, but is so much more portable and easier to work with. 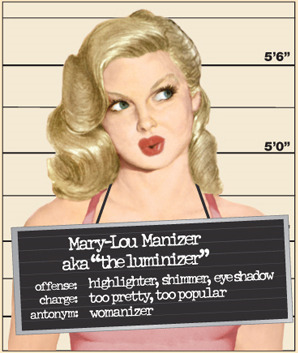 The shade is also flattering for most skin tones. 2. 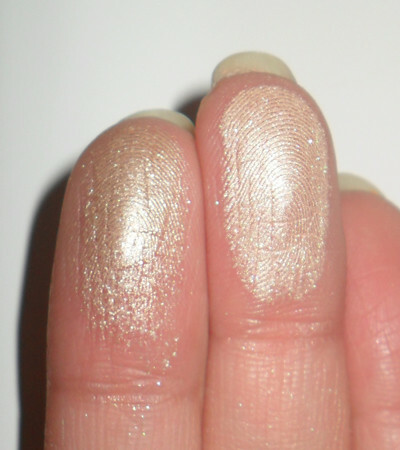 This is a pretty good dupe for MAC's Retrospeck (which has slightly deeper base tones but identical highlights). As seen below, it is finer-grained and more opaque (Retrospeck is a Lustre) so while you won't be able to get that same flecks-of-champagne effect, it's easier to work with, more pigmented, and gives a very natural sheen when sheered out. 3. Look at the amount you get. 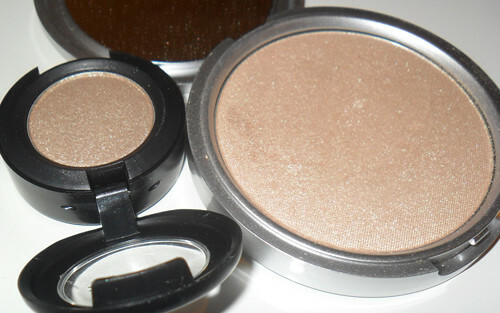 Both products are marked up here in Asia, but you get 8.5g of product in The Luminizer (5 x MAC shadows at 1.5g), and an ever-so-cute mirrored compact, for about 0.5 times the cost of a MAC shadow. I swipe this on my brow bones and cheekbones with a wedge sponge after applying my base, and before doing the rest of my makeup. By the time my setting powder goes over it, it's become a soft-focus highlighting sheen which emphasizes bone structure subtly. I sweep this over lids softly with black kitten liner. Apply red lipstick to complete the retro pin-up look. Dab this softly over the cupid's bow, and in inner corners of eyes to enhance your features.